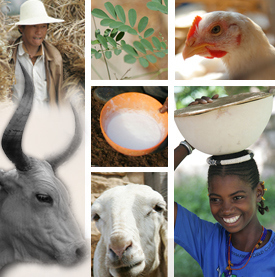 One of the focus areas of the Livestock Systems and Environment (LSE) program at the International Livestock Research Institute (ILRI) through the CGIAR Research Program on Dryland Systems is on adaptation and resilience. Here, the objective is to build capacity for adaptation to environmental change and resilient development processes among farmers and livestock keepers. 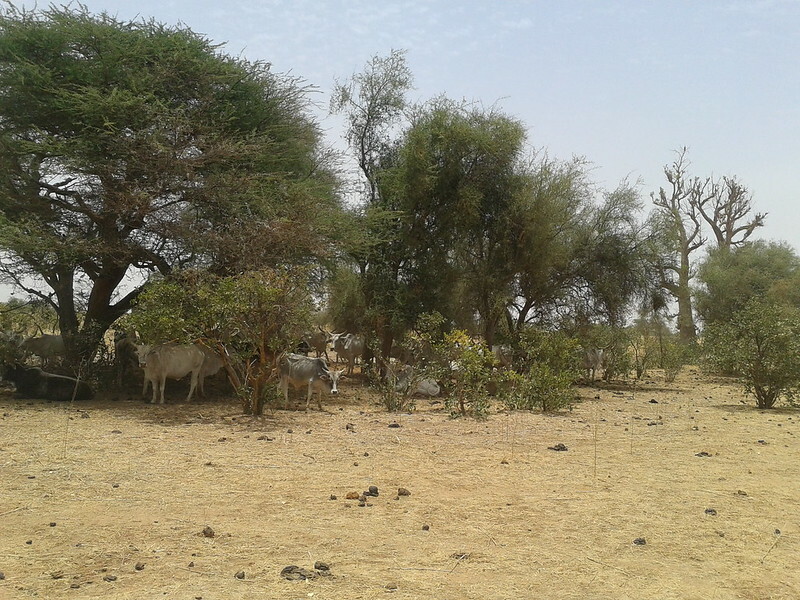 Over the next weeks, we shall publish a series of blogs featuring newly-published work by scientists in the LSE program on going research on adaptation and resilience research in drylands. The Technical Consortium was set up in the wake of the 2011 Horn of Africa drought as a project of the CGIAR and was intended to provide the Intergovernmental Authority on Development (IGAD) and its member states with technical support for the development and implementation of their drylands investment plans – originally called the Country Programme Papers or the Common Programme Framework for Ending Drought Emergencies (EDE) in Kenya. These papers suggest a portfolio of investment projects aimed at enhancing the capacity of these countries to withstand and mitigate the effects of frequent drought in the Horn of Africa. The concept of resilience is being used to bridge the divide between traditionally reactive relief assistance and proactive planning and development in drought prone areas. This perspective focuses on the application of ‘resilience’ as a concept beyond sustainable development which can help countries in the IGAD region of the Horn of Africa understand the ways in which investments (projects) might contribute to enhancing the capacity of individuals and communities to better withstand the effects of drought while continuing to benefit from development projects. Demonstrating actual impact on this capacity is a tall order, but without being able to measure and monitor resilience using an empirically replicable methodology, policy makers and society more broadly will not be in a position to identify and support interventions that directly affect people’s ability to respond to and accommodate adverse events (Bene, 2013). In a world where conventional approaches to dealing with humanitarian aid and development assistance have been questioned, resilience has captured the attention of many audiences because it is seen as providing a new perspective on how to effectively plan for and analyze the effects of shocks and stressors that threaten the well-being of vulnerable populations (RM-TWG, 2013). Resilience can present a framework to foster integration between humanitarian and longer-term development interventions which promotes discourse that rallies an increasing number of people, institutions, and organizations under its banner, creating communication bridges and platforms between disciplines and communities of practices, and offering common grounds on which dialogue can then be initiated between organizations, departments or ministries which have had hitherto very little, or no history of collaboration (Béné et al. 2012). Since 2011, considerable investment has been made by multiple donors in projects intended to improve the resilience of people, at various scales (individual, county, woreda, sub-national and national) who reside in the Horn of Africa. Unfortunately, what is consistently true of these investments, with the exception of a few, is that about none of them can it be said that any noted improvements have definitively enhanced resilience. We consistently lack a means of demonstrating plausible relationships between projects or interventions being proposed and an impact which can manifests as ‘resilience’. One of the most difficult challenges that has emerged over the last three years has been to develop programming strategies and projects that apply the concepts of resilience. Whether this is the more systems focused approach as is outlined by Mike Jones in Blog entry no 2, or the application of strategies for more resilient development (Davies et al., 2015) as detailed in Lance Robinson’s contribution in Blog entry no 1, the challenge remains to translate these concepts empirically to the types of investments in the EDE and other projects being implemented in the Horn. Measuring the extent to which investments and projects have contributed to enhancements in absorptive, adaptive and transformative capacities allows us eventually to derive a picture of what types of investments are most important under different conditions. Without evidence that resilience has been enhanced, this development initiative will fail and donor attention and funding will cease. As it presently stands, the Kenya EDE is a portfolio of investments which conforms to reasonable expectations suggesting that increases in health, nutrition and education status will occur and that access to income-generating opportunities, markets, water etc will be improved. These are investments that conform to the standards of sustainable development projects. At present there is no link between these investments and their ultimate impact on enhanced resilience. In addition, the investments within this portfolio are not ranked or prioritized in any way that demonstrates a knowledge of which one is most important. Which one of these investments will have the most impact on increasing resilience? The highlighting of the lack of rationale for investment is in no way intended as a damning indictment of the EDE. The work being done by the Kenya National Drought Management Authority (NDMA) is of great value and they are committed to developing a monitoring and evaluation system and strategic prioritization to allow them maximize their investment potential. The scenario that I have described is true of almost all projects being implemented in the Horn of Africa, with the exception of a few (for example the PRIME project in Ethiopia). We need to develop theories of change which correspond to interventions in resilience programming, both to be able to demonstrate intended impact and to be able to target investment to pre-empt the negative impacts of a shock. These theories of change form the basis not just for impact evaluation, but also inform our ability to predict the impact of a shock and pre-emptively target the implementation of interventions which will mitigate this same impact. While we can do this based anecdotally on previous experience, it is important to be able to understand why this happened at a disaggregated level with an empirical rationale that can be replicated. Why did this community fare better or worse than others historically? What environmental or other conditions were present which might have affected the ability of a community or household to cope better or worse? In order to do this, we need to be able to suggest a plausible relationship between a project or an intervention that causes changes in health, nutrition, education, income status, (or other well-being variables) which changes the significance in association with a shock and ultimately has an effect on the capacity of the community in question to cope. We also need to be able to look at the relationships between these changes and their significant response to shocks and capacities, and environmental or socio-ecological conditions also present prior to or at the time of a shock. This modelling of pre-conditions and significant associations with certain variables forms the basis for developing theories of change which demonstrate the behaviour of variables under certain conditions. We need to be able to develop multiple theories of change for different geographic, environmental and socio-economic conditions to be able to understand what has the most significant role in affecting a community’s ability to cope with hazards such as drought or flooding. And we need to do this multiple times over multiple time scales in multiple scenarios. It is only by doing this that we can compare the significance of the different associated relationships that emerge under multiple conditions that we can begin to understand which variables and which interventions are the most important in allowing communities to build capacity to withstand or mitigate shocks. If we want to be able to target projects or interventions prior to shocks to build up the capacities of communities to better cope, donors need to be willing to invest money in evidence-based research which allows us to gain insight into indicator response and behaviour in different conditions within multiple theories of change. At present the focus in the Horn is on devising innovative projects that can potentially enhance the resilience of communities and households. While this is understandable, at some point whether or not these projects actually did contribute to people’s resilience will have to be evaluated and unless significant time and investment is devoted to evidence-based research to provide analytics and metrics for measurement, it will be difficult to draw any substantive conclusions. Béné, C., Wood, R.G., Newsham, A. and Davies, M. 2012. Resilience: New Utopia or New Tyranny? Reflection about the Potentials and Limits of the Concept of Resilience in Relation to Vulnerability Reduction Programmes. IDS Working Paper. Volume 2012 Number 405 . Tags: Katharine Downie, Technical Consortium. Bookmark the permalink. Having the data to be able to provide evidence of the impact of resilience building investments will require approaches to baseline studies, M&E, etc. which seem to be lacking at present. Too often, for instance, if a new project conducts a baseline study, the methodology is not comparable to other studies that have been done. At times different projects and programs will collect data in the same or overlapping places on the same kinds of issues but use different sampling frameworks and different research tools, greatly limiting the possibilities for more powerful analyses that could contribute to developing and validating theories of change. Some common methodologies are needed, along with a commitment for more coordinated approaches to collecting data. A characteristics that such methodologies should have include: simple, low cost, data made publicly available, conducted at regular intervals on an ongoing basis (not only for the duration of single projects). Among the indicators monitored should be some basic indicators of well-being, including but not limited to indicators of food security. 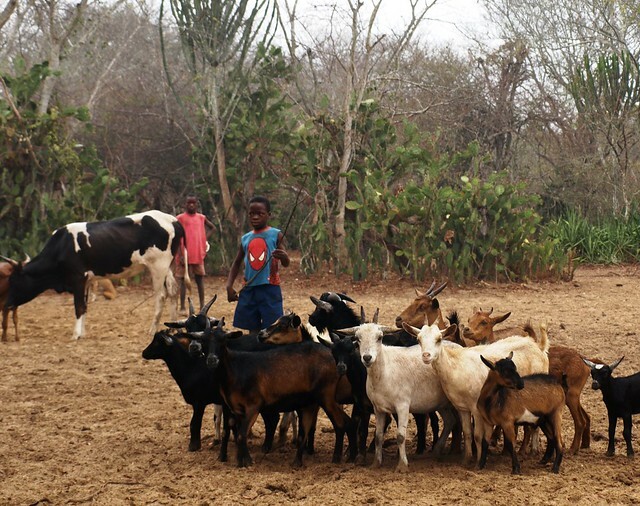 An interesting example of the kind of approach that is needed is the Whole Village Project in Tanzania: http://66.147.244.227/~sftzorg/?page_id=583.